Regardless of your niche or target market, there is absolutely no shortage of competition on the web. No matter how you look at it, you’re locked in a fierce battle for the attention of website visitors. And therein lies the challenge. Not only is there a staggering amount of competition, but people’s attention spans have dwindled to the point where we can measure them in mere seconds. Here is the problem this creates: Your website was built with a purpose in mind. That might be attracting new clients, selling a product, promoting a service or maybe it’s a news site that relies on visitors and ad impressions. The point here is that when a new visitor lands on your site, there is something you’d like them to do. If they leave your site without taking your desired action, you’ve wasted your opportunity. That’s why simply focusing on traffic numbers is such a waste of time. What really matters is how engaged your visitors are with your website. Are they sticking around long enough to take your desired action? Most of the time, the answer is no, they’re not. 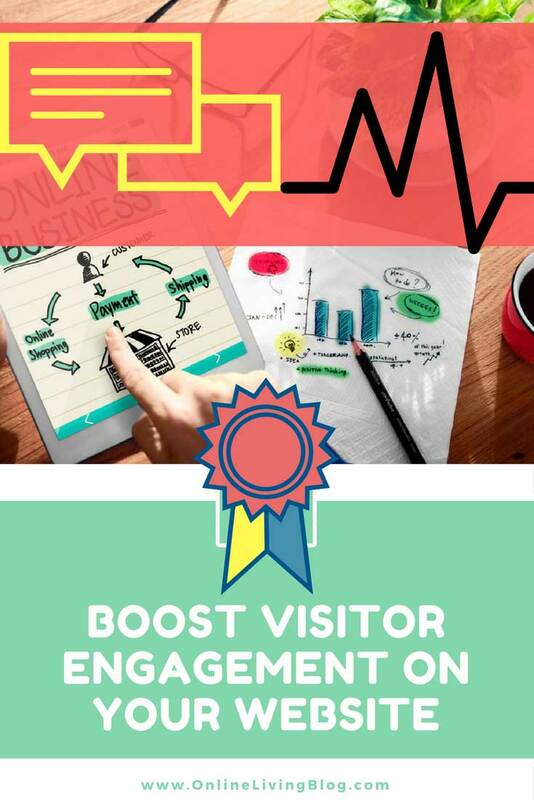 In this post, we’re going to focus on some different ideas that might help you boost visitor engagement on your website. The longer someone is on your site, the more likely they are to take the desired action and convert against your goals. By @SylviaHubbard1 in marketing, Social Media, Uncategorized on August 2, 2017 .